The Celeste from the first fall drop of Gal Meets Glam Collection is a dream in cream (and berry, if that’s more your hue). Though it goes without saying, it’s a special dress—appropriate for work with a blazer or the Paige tweed jacket (as seen here) and a pair of flats, warm enough in the cooler months with tights, booties, and a blanket scarf or faux fur stole, classic for the holidays with heels, a belt, and bold lip, and practical for everyday while adding a touch of glam. I wore it to this special place by chance. We were in search of the yellow and orange flowers that bloom in September and October at Seoul Olympic Park, but never found them. 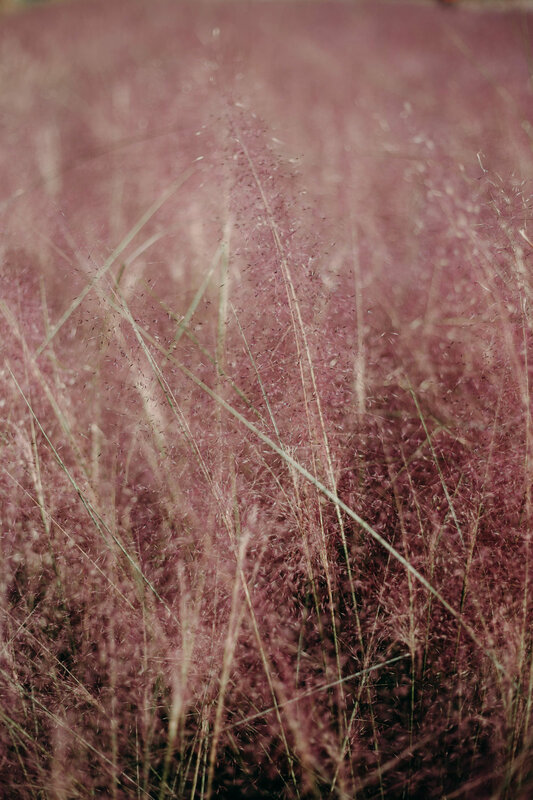 Instead, we stumbled upon this field of pretty pink grass, called Muhly (Muhlenbergia). I was so preoccupied with the pink that at first, I didn’t notice the swarms of bees buzzing around me! Seoul Olympic Park is a bit of a hotspot at the moment. We recommend visiting earlier in the day to catch the fall morning sunlight and avoid the swarms of people. On the northwest side of Seoul, you can visit Haneul Park, or Seoul World Cup Park, for the cosmos and even more blooms. My size ranges from 00 to 0, and I picked up the Celeste in a 0. It’s snug around the bust and triceps, but comfortable, and a touch long in the sleeves. So, I would say it runs true to size. The dress is lined and the material thick and opaque. For further reference, I picked up the Paige jacket in a 0 and the matching skirt in a 00. Of course customs can be quite steep, but as far as international shipping goes, it was reasonably priced and a quick and easy process. You can shop the entire Gal Meets Glam Collection here!